A HD reboot of my JS13K'17 awarded game. A mini bootstrap for creating HTML5 games on a responsive canvas with unified mouse and touch inputs. Click / touch coordinates are conveniently given relative to the canvas' intrinsinc size. 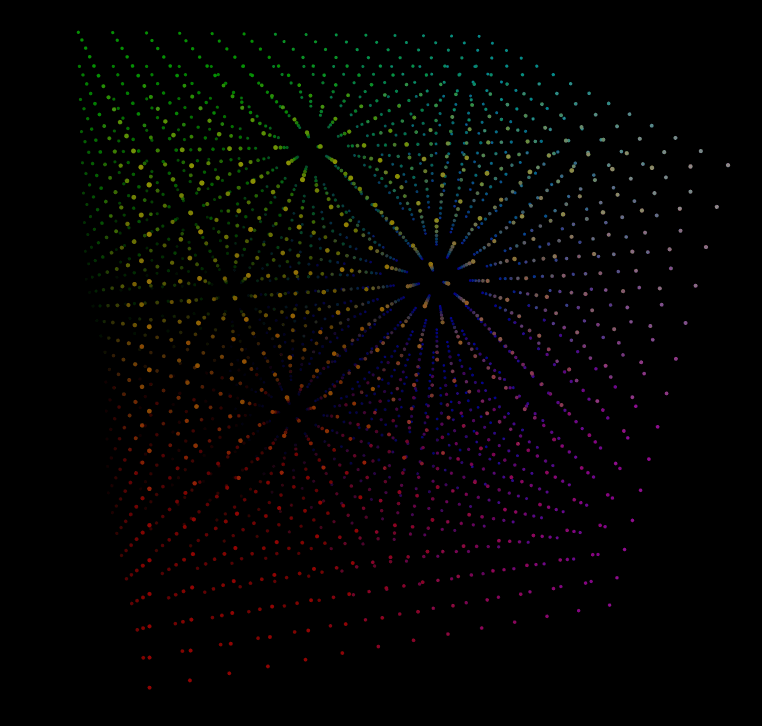 A hack/experiment allowing to display 25 CSS3D cubes despite Firefox's 100 CSS3D polygons limit. It was finally used in a real advent calendar. 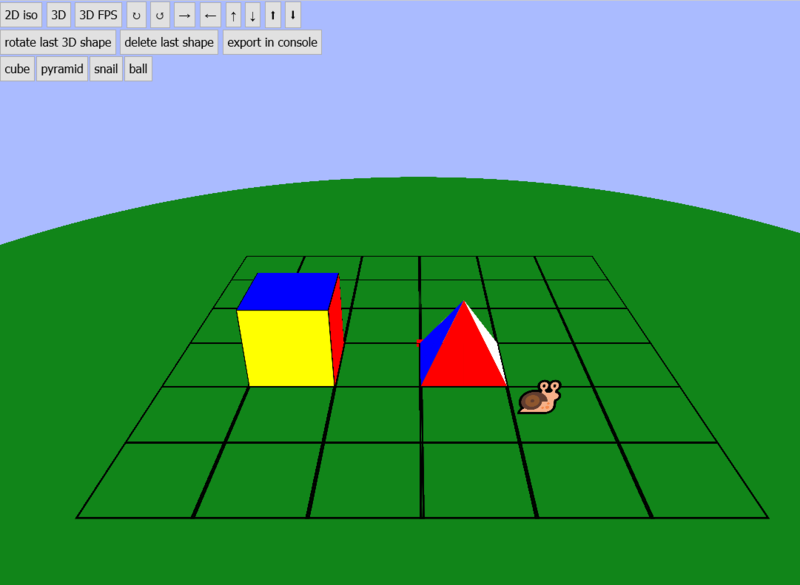 A js app allowing to create 3D scenes with planes and sprites in pure CSS, developed with Tommy Hodgins. A mini GUI to draw and export music in JS and WAV, developed with Tommy Hodgins. 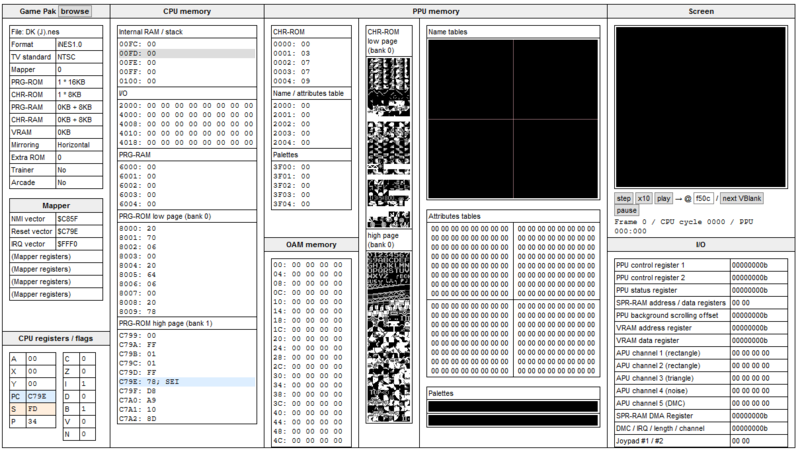 A handy pathgraphics editor for 2D games, designed for the upcoming js13kgames competition. A ~1kb generic level editor for 2D games, designed for the upcoming js13kgames competition. 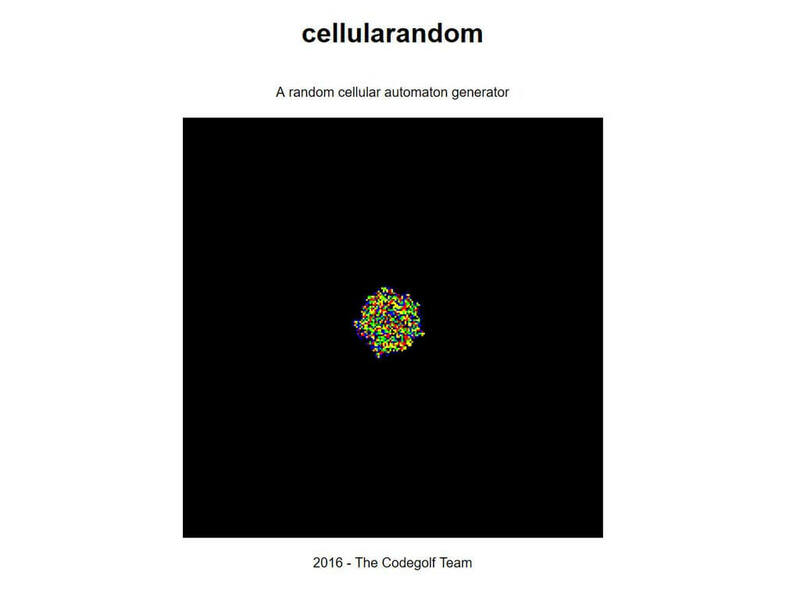 An app that generates random cellular automata, inspired by Langton's Loops' engine. A Web IDE dedicated to HTML/JS code golfing, with live preview, Closure Compiler & RegPack integration, etc. 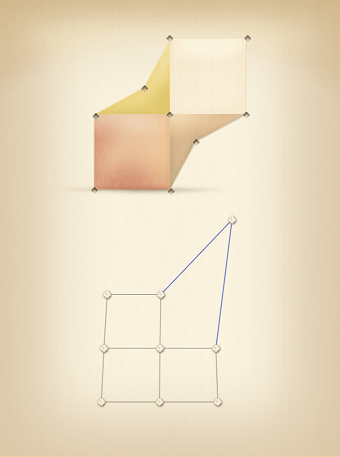 Little 3D sculpting / drawing app powered by CSS 3D. Developed with Subzey and Anders Kaare. JsExe is a Windows program that allows to encode some JS code inside a PNG's pixels, and append some HTML code at the end to extract and execute it. This technique is called "PNG bootstrapping", and it's often used in JS demos of 1kb and up because of the nice gzip compression allowed by the PNG format. Zpng is a pure JS app performing the same job, with a stronger compression and more simplicity because everything is done in the browser. Developped with @innovati, Element Queries CSS (EQCSS) is a JS library bringing new features to regular CSS. The main feature is that the Element Queries can be used to target elements depending on their size or content, contrary to the media queries that only understand screen size. EscApe (␛) is a project dedicated to character encodings and string formats for the Web. It is regularly updated with new encoders and decoders. CSS ellipsis are handy but they only work with one line of text. Multiline ellipsis can be achieved with this CSS hack, but it's hard to set up and it doesn't work very well on old IE versions. 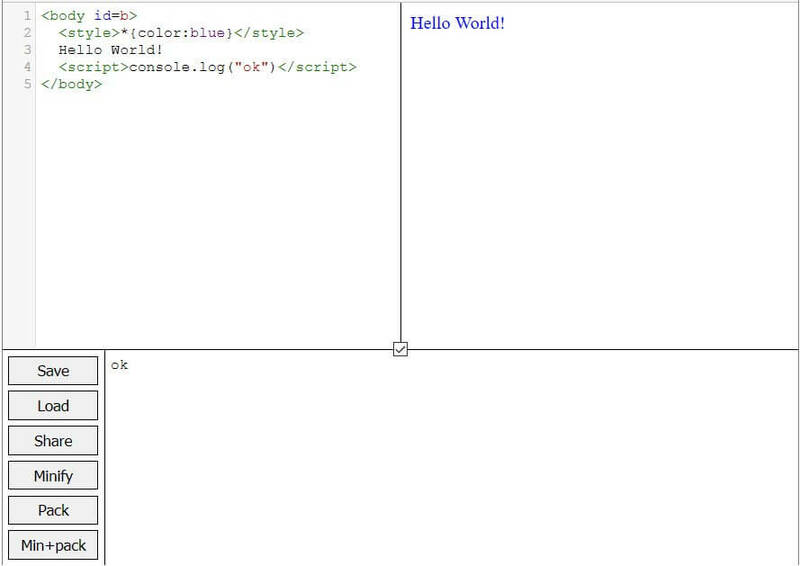 Here's an alternative written in just 10 lines of JS code, plus a bit of CSS. 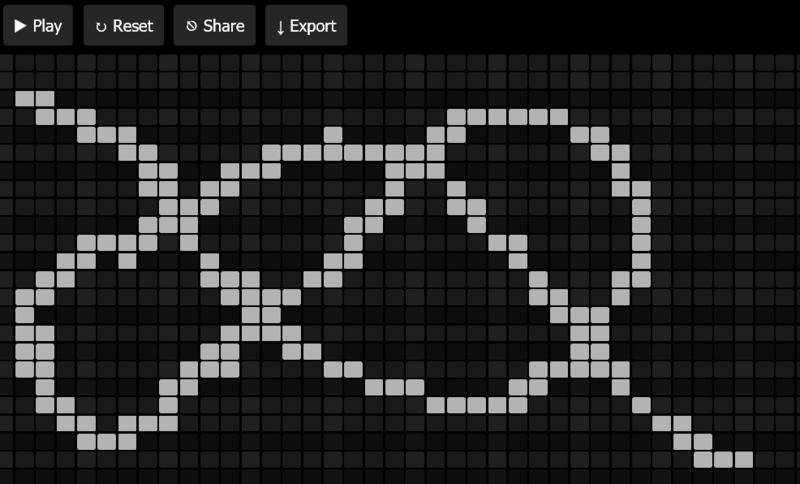 Inspired by @afragon, and his CSS art to which I contributed a little (compression, responsiveness, zoom). 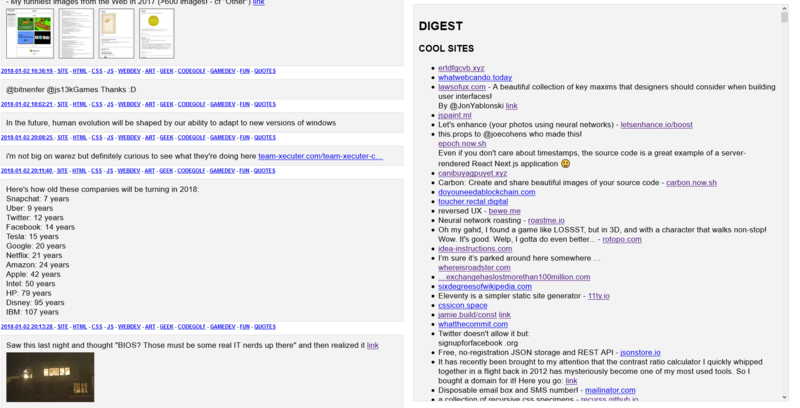 A visual representation of all the DOM events that can occur in the browser. I developed a pure CSS solution that allows to have some text centered inside a container when it's short (less than one line), and aligns it to the left when it's long (2+ lines). 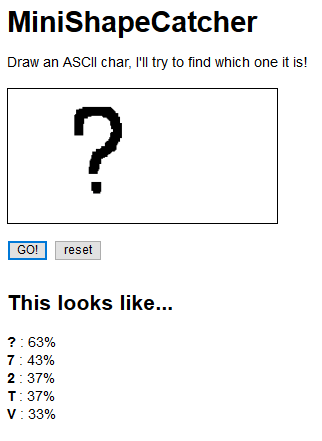 It works on all browsers, including IE6. More complex case: text "centered-stretchable-left"
I also made a more generic solution that allows to center the text in a defined zone when it's short, and enlarging this zone when it's long (works on IE8+). NB: of course, you can replace left by "right" or "justified" in the first CSS rule. A HTML5 video with custom controls in HTML/CSS/JS. It works on all the modern browsers (IE > 9) and all the devices.